Jolanda Burton, Scholar Committee Co-Chair, a NAEHCY Scholar (Class of 2007) is currently a Healthcare Consultant. 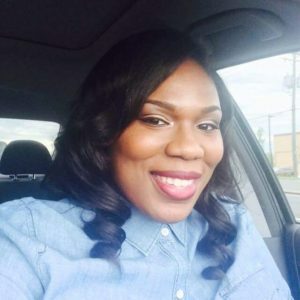 She received her Bachelor of Science in Business Entrepreneurship from Norfolk State University in 2012, and her Master of Business Administration, Project Management concentration from Liberty University in 2015. Jolanda has a broad spectrum of skills and talents, ranging from business consulting, strategic planning, enhancing communication, assessing program effectiveness, and efficiently managing projects. Jolanda aspires to give back to NAECHY what the organization has given to her – opportunity for a new start…the opportunity to be the best individual. It was not by chance she grew into a paragon, it’s her natural calling. She was born to fight for the individuals who had been silenced, who have suffered, and who have endured circumstances due to no fault of their own. Most importantly, she fights for the support that she was not afforded during her journey.